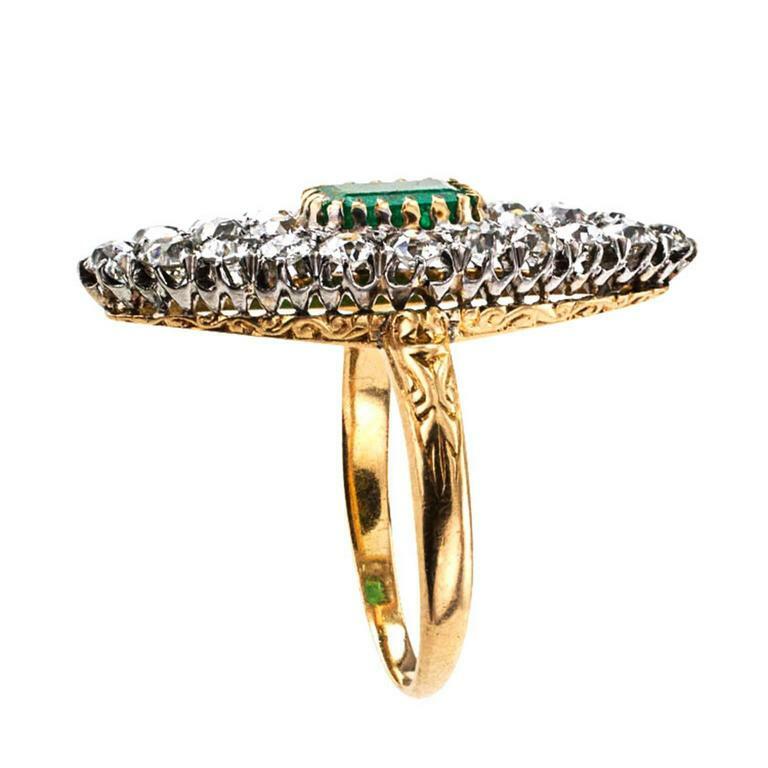 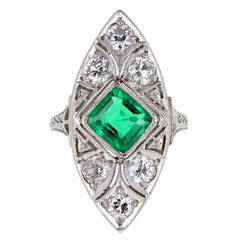 Edwardian Emerald and Diamond Ring So much exhilaration and happiness contained in the simple navette shaped design as old diamonds shimmer and cuddle tightly around the old emerald cut Emerald displaying its beautiful color as it rests within its bezel, simulating flames. 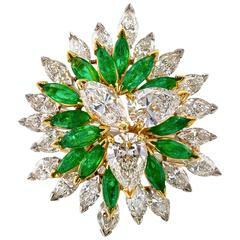 There is passion and fire all over the place. 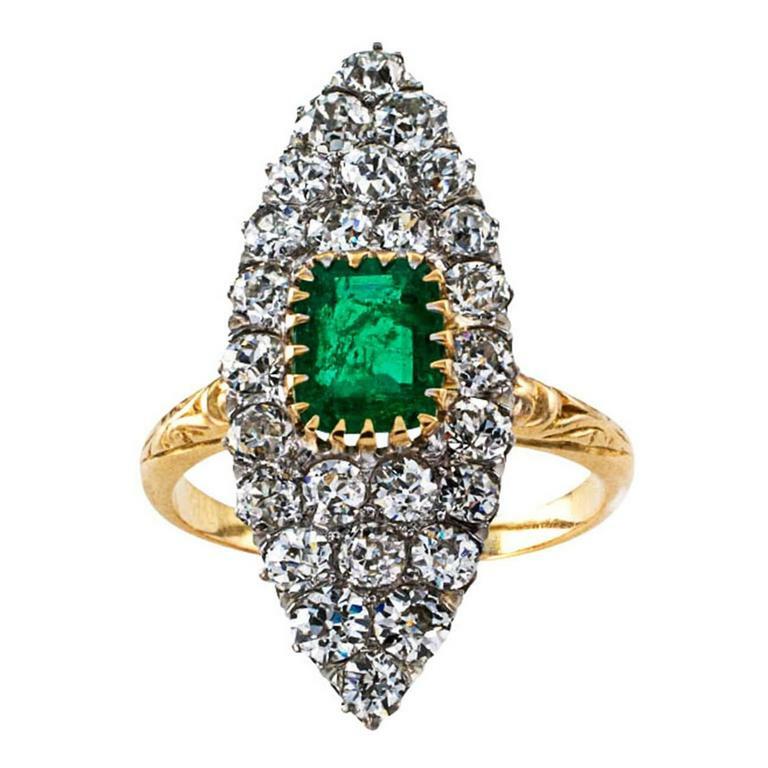 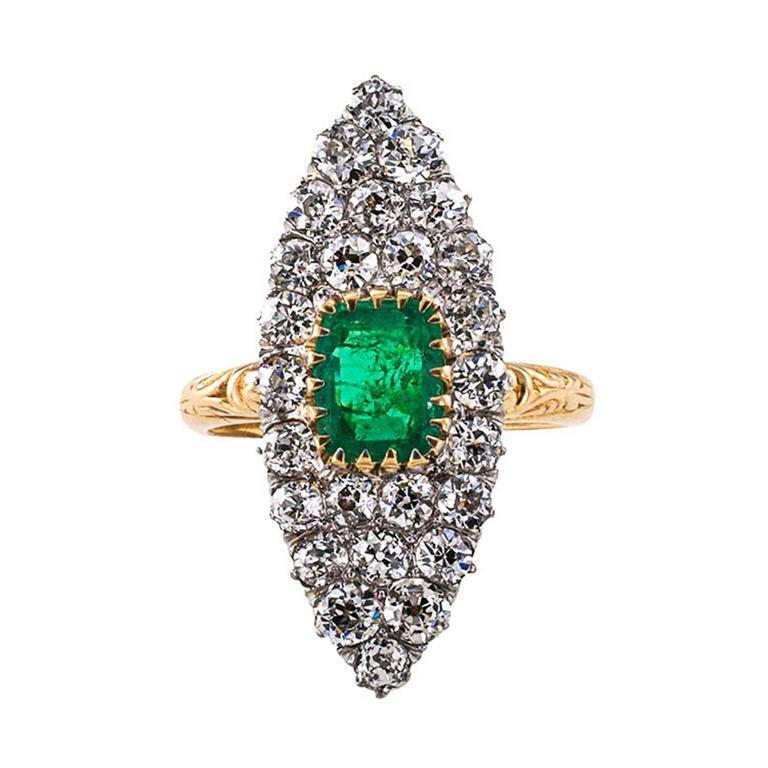 A one-of-a-kind jewel, crafted in 18 karat yellow gold and platinum, the Emerald weighing approximately 1.00 carat, the old mine cut diamonds totaling approximately 2.00 carats, approximately H - I color and VS - SI clarity, approximately 1/2" wide across the finger and 1 1/8" long vertical to the fingernail, ring size 8. 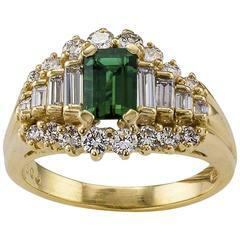 Can be re-sized. 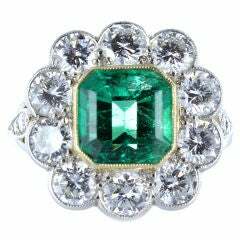 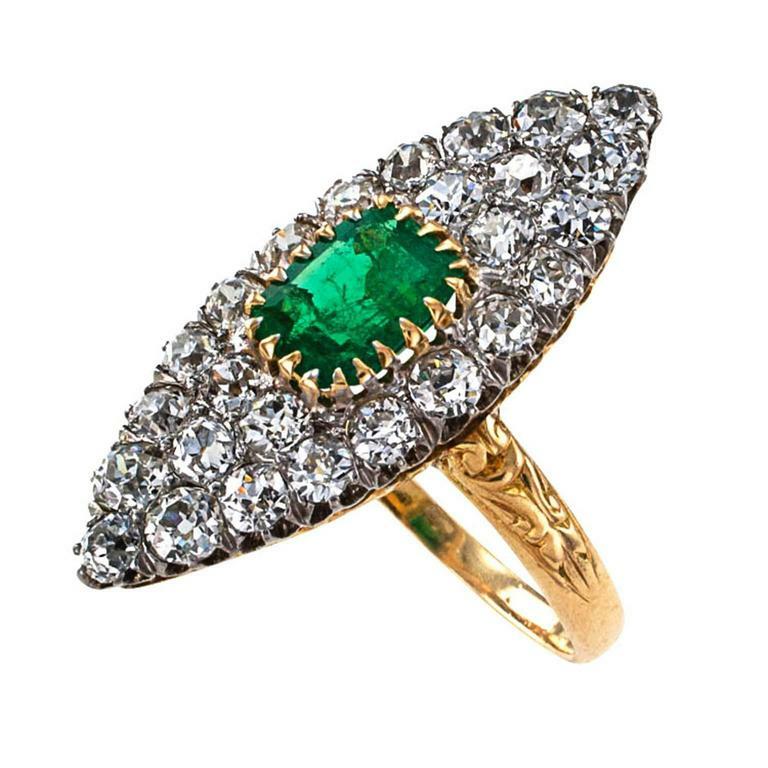 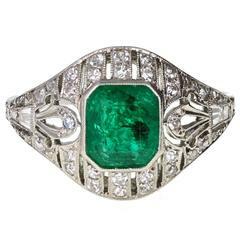 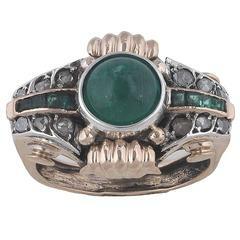 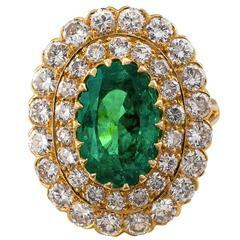 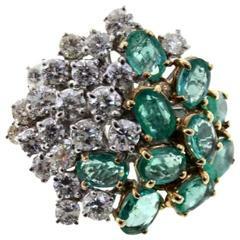 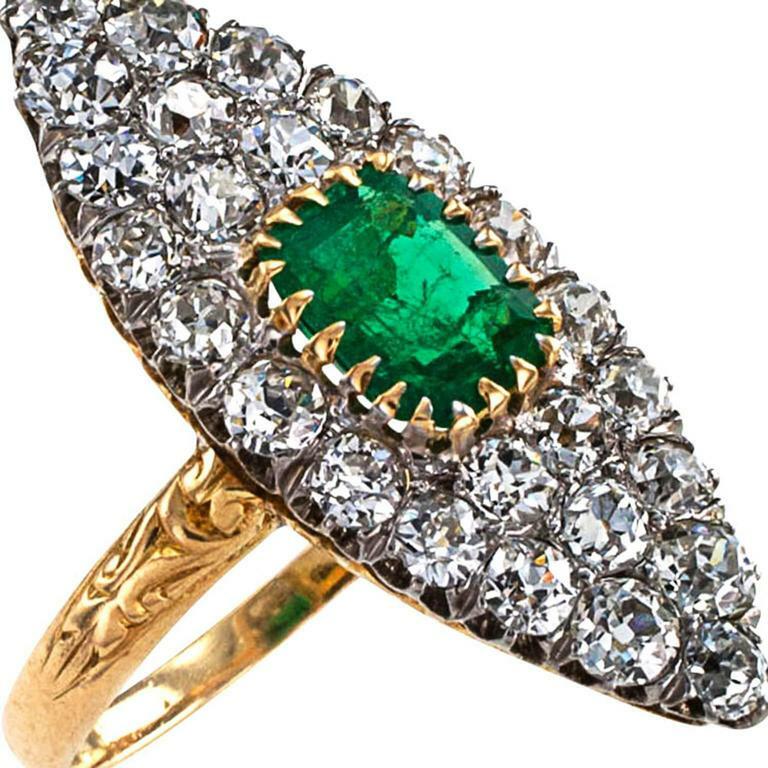 Antique Edwardian emerald and diamond ring circa 1910.